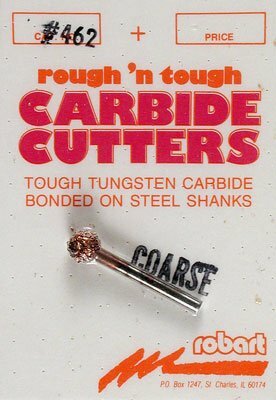 This Is A Rough 'n Tough Carbide Cutter (Coarse Ball) from Robart. Won't wear out, load up, break down, or overheat. For use in shaping all woods, plastic, fiberglass and ceramics. Comments: Not recommended for use on metal.